The 20,000 lb 44 ft telescopic forklift can handle heavy lifting tasks with ease. 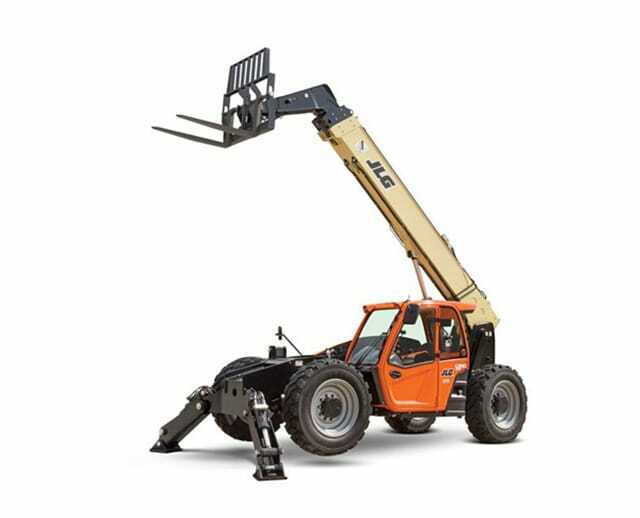 Designed for efficiency and reliability, the forklift mechanism itself comes attached to the telescopic boom lift, which has a horizontal reach of 44 ft. The boom’s positioning capabilities allow operators to load, unload, and pick up heavy materials at a distance. The telescopic forklift can navigate uneven outdoor terrain, making it ideal for industrial or construction sites.